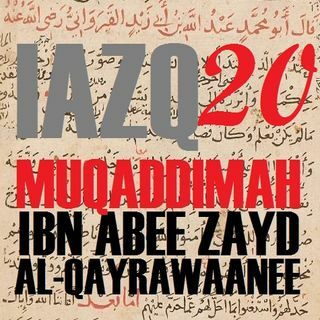 Salaah Brooks reads the 20th point of belief from the work of the great Maalikee scholar, Imaam Ibn Abee Zayd al-Qayrawaanee (d.389), from his book, ar-Risaalah, the beginning of which is the focus of our course in 'Aqeedah (Muslim Beliefs). Moosaa Richardson supervises the reading of the text and provides detailed commentary. This class covers the topic of the status of the Muslim rulers and the scholars, our obligation to obey them, and the importance of following the way of the ... See More Salaf. This class was recorded at al-Masjid al-Awwal in Pittsburgh, Pennsylvania (USA) on 1437.12.15.